After testing the lifestyle by taking a narrowboat holiday in the depths of winter, Jaks and Andy have now lived on their own narrowboat for four years on a rustic farm mooring on the cut with no facilities. Jaks & Andy , with Bruno 9 and Freddie 4, the 2 mad staffies who bark at most boats who cruise past our mooring on the Ashby. We were caravaners to start with, then had a boating holiday in February cheap off ebay. It was cold with cat ice on the cut but we loved it, a few years later we found Miss George on eBay not far from our house and with the kids doing there own thing we did it. She was called Miss George when we bought her, we would like to know why! 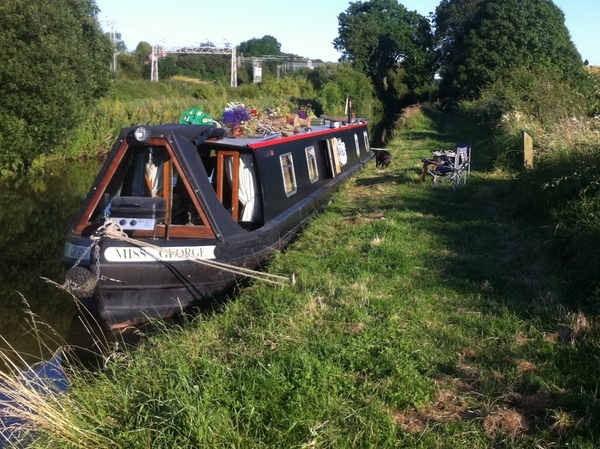 A farm non towpath linear mooring which came with the boat. we have no facilities. A 1984 62 ft Peter Nichols trad, with a very unusual offside engine with lots of pulleys to the prop. we would love to know more about her! Both work for a agency have done so for a year, but planning to cruise some of the network next year! (we work 6 days 6am- 2pm) in a warehouse, we go to bed early which saves on electric! This year has quite bad our engine ceased and we had to buy and fit a second hand one, the gear box coupling is broken at the minute,which Andy is hopefully going to fix next week as we are on holiday. condensation in the winter, no long lingering hot baths. 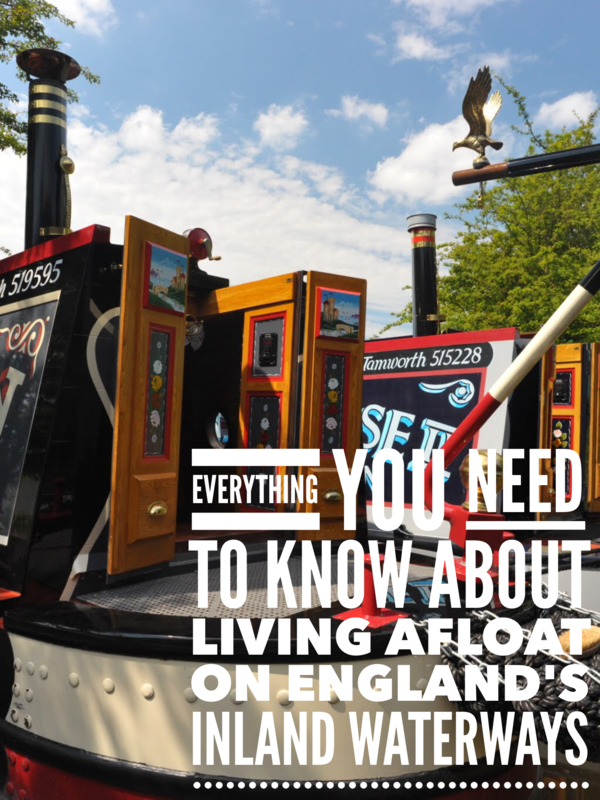 The out doors and simple life, the boating community take you back to a time gone by when you could leave your back door open and borrow a cup of sugar! Nothing really, we are easy to please and have a cosy cottage style boat! Plan ahead, walk you are never far away from a shop. We have a full size washing machine, as we have a generator, powered by the engine. Pump out with macerator, and back up Porta Potti. Orange dongle, yes and no, would like better. Anywhere. when we not a work, home is nice. When be bought the boat it had been upgraded by rose narrowboats, we have 4 leisure batteries,inverter, mastervolt charger, and a on board generator, we are sensible we only use high power equipment when the engine is running,we plug in phones laptop etc only when we put engine on, we try and be organised with rechargeable stuff. we do have 2 old small solar panels and are planning to upgrade. we also have some led lights which help. In the last few very cold winters we were warmer than in our house, and it was cheaper as we burn anything and everything. 12v sockets. Something I’m hoping to resolve pdq.